Powering Airborne Applications for Over 15 Years. Unlike our competition, we have been producing Aircraft Grade power products for over 25 years. 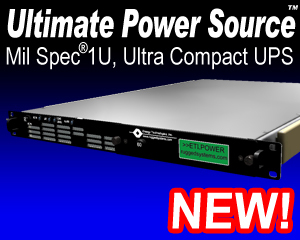 In fact, we produce UPSs, PDUs and UPS/PDU combinations that are Mil Spec®, Medical Grade and Aircraft Grade used in hundreds of airborne applications. The Airborne Power® division of Energy Technologies, Inc. designs and manufactures rugged, high-reliability power generating, power conditioning, energy storage and power distribution equipment for airborne applications. Used aboard aircraft as well as ground support and launch systems, this product line includes frequency converters, uninterruptible power systems (UPS), DC/AC power inverters, power distribution units (PDU) and packaged power plants in service throughout North America, South America and other parts of the world.